The gorgeous Kilbourn Leather Backpack from SOLO New York is part of SOLO’s exclusive Roadster Collection, crafted for a luxe urban lifestyle. 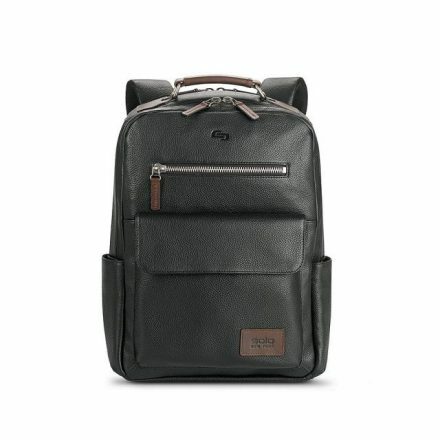 Sturdy and made with soft, sumptuous pebbled leather, this backpack has a padded laptop compartment, internal iPad/tablet pocket, front pocket with a magnetic closure, metal hardware, padded straps for comfort, and a dark, heavy twill camo lining. This is really versatile in terms of where you can take it: it fits in at work, but also fits in at play later. Available in limited quantities, the Roadster Collection is exclusive to select retailers and can be found at https://www.solo-ny.com/roadster-kilbourn-leather-backpack-lea700. This would also make an ideal gift for the Holidays on the horizon. With Fall making its entrance, you may need an umbrella wherever you travel, so pack the very best: Weatherman. Billed as “the last umbrella you’ll ever need,” it won’t let you down when you need it most, rendering it as a savvy investment (and great gift!). 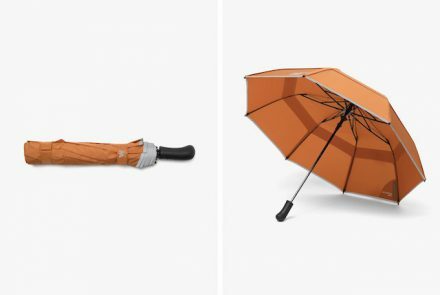 A sturdy frame and canopy combine with a vented teflon-coated fabric, reflective safety strip, and a Pebblebee bluetooth tracker — to link to a Weatherman forecast app and ensure that you’ll never leave it behind — in this world’s greatest umbrella. These umbrellas have been wind-tunnel tested up to 55 miles per hour! Choose from different colors and styles at https://www.weathermanumbrella.com. 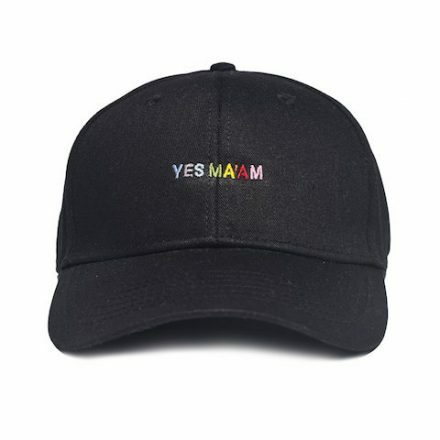 The Los Angeles brand WHERE Clothing‘s “Yes Ma’am” cap is a nod to the future while simultaneously protecting you as you roam from the sun, the wind, the paparazzi, and bad hair moments. WHERE clothing also offers inspired, fresh casual-wear for traveling in the form of hoodies, jackets, pants, tees, and other caps that will show your love for L.A. Check out the impressive offerings at https://whereyouatbaby.com/collections/all — and when the holidays roll out, you’ll know WHERE to shop. If you’re trekking, you’re undoubtedly sweating. If you’re sweating, you’re human. 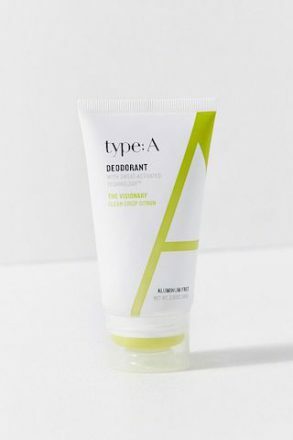 You’ll be happy to know that type:A is a new concept in aluminum-free deodorant with sweat-activated technology for long-lasting odor and wetness protection as you run through airports and hike mountains. The high-performance, safe ingredients are delivered in a dry, lightweight cream that won’t stain clothes. type:A comes in a tube and applies like a stick, too. Pick it up in full size ($10) or travel size ($6) at https://www.typeadeodorant.com, or find it at Credo Beauty, Amazon, goop, and at select Urban Outfitters. You are absolutely ready for some Fall adventure.